Bowling has been a favorite pastime for dads for decades. Spending a few hours down at the lanes with some buddies, snacks and beers is a great way to unwind. It feeds the competitive spirit and lets you practice your technical skills as well. Developing a passion for bowling after a few months of casual play is not uncommon. It’s at this point that the occasional bowler decides it’s time to step up their game. The best way to do this is by acquiring a superior bowling ball. The bowling balls available at the lanes are all right for beginners and those who don’t take the game too seriously. But when a casual bowler decides they’d like to play competitively in a league the best thing they can do is get a custom bowling ball that will provide enhanced hook capabilities and give them better control. 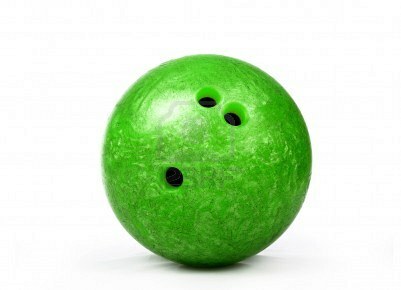 A bowling ball consists of two main components: the weight block and the cover stock. The weight block is the part of the bowling ball you can’t see, yet it can significantly affect the quality of your game. When a bowling ball has a high mass weight block it is virtually impossible to induce a heavy roll. This usually gives better distance. A ball with a low mass weight block allows for a heavier roll and more pronounced hooking capacity. The coverstock, or shell, is the visible part of the ball and perhaps the most important component that will help you bowl the game you want. Bowlers will find balls with shells made from plastic, urethane or reactive resin. Plastic is likely the least expensive and produces the least amount of friction. It’s the kind of shell found for rent at the lanes. Urethane provides more friction and therefore more potential for producing a solid hook. These balls offer great control and usually represent an excellent choice for bowlers buying their first ball. Reactive resin is often the shell of choice for professional bowlers. 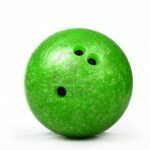 It may work well for amateurs too, but these balls are easily affected by the condition of the lane and errors in technique. Having one of these balls is a great way to discover the weak points in your game and to start correcting them. After choosing a ball with just the right weight block and shell it’s time to consider weight. Common weights are between six and sixteen pounds – the largest weight that is legal to use in league play. Finger holes on a custom ball will be drilled to exact specifications especially for your fingers. You get to specify how many holes will be drilled – up to five – and whether the holes will allow for full insertion of the fingers or merely fingertips. This is one of the most important factors to being able to properly release the ball and you will probably be amazed by how much having custom finger holes can improve your game. Once you’ve acquired the best bowling ball it’s time to start practicing. Just don’t forget that the ball will need regular cleaning and maintenance to keep performing at its best. Each time it rolls down the lane it picks up oil and dirt – substances that need to be removed to maintain the best friction and hook potential. Use a ball cleaner that is sold at the pro shop at the lanes after every few games. Occasionally washing down the ball with some warm water is also advisable. By providing proper care that new bowling ball can last through several years of competitive play.